Cancer and Careers, a philanthropic effort of the Cosmetic Executive Women (CEW) Foundation, is a non-profit organization that provides assistance to those in the cancer community who are in need of employment and is an advocate for employment rights for those affected by cancer. As the leading organization in this space, CancerAndCareers.org is home to critical and valuable information for cancer fighters, survivors and caregivers. However, before engaging Squeaky, all of this information was buried and overwhelmed by a confusing navigation and unorganized site map.. As such, Squeaky spent a lot of time re-organizing the website structure. We applied our UX and IA expertise to better organize the content and design the site with an easy-to-use intuitive interface. The Squeaky team jumped at the opportunity to re-vamp this website and set out to create a digital presence that was not only clean and professional but also engaging and informative. 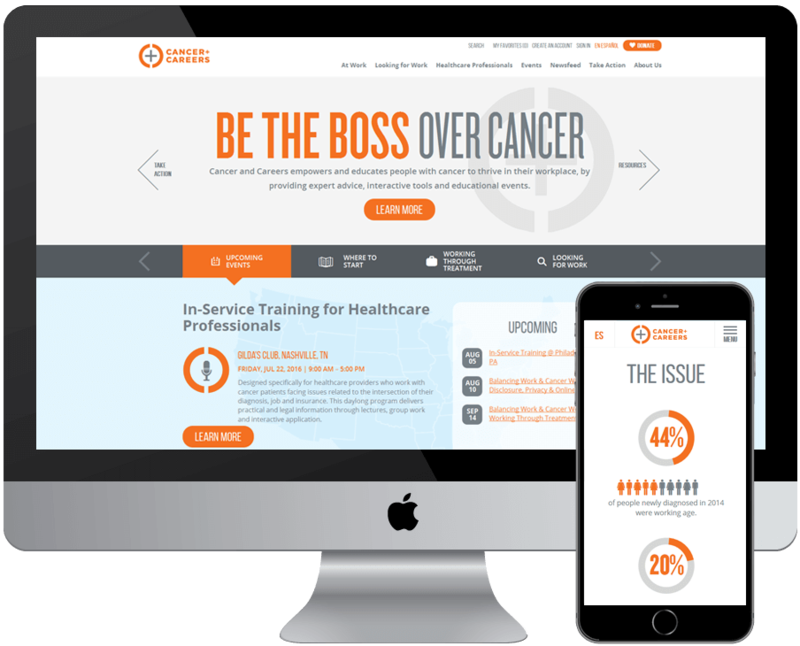 We used typography and infographics to highlight some of the most important content on the site, and leveraged the knowledge of the IHadCancer team to better understand the market. The end result was a responsive, easy-to-use, multi-lingual hub of essential information for anyone trying to navigate work after cancer. 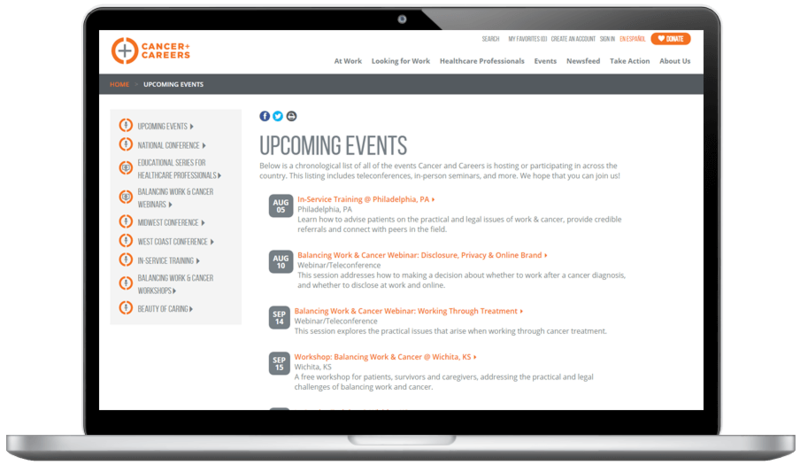 Instead of implementing a new content management system, Squeaky chose to enhance Cancer and Career’s existing CMS, Ruby On Rails. We leveraged our expertise to include new features that would help make it a more efficient system for the client.